Only a few years ago it was so difficult to find a waterproof fitness tracker. But nowadays, you have a large choice. So, now there is a problem to choose the best one because each tracker has something unique and useful. But still, you need to know that there is no fitness trackers waterproof that is protected from water entirely. They all have protection only to a certain depth and pressure. Therefore, choosing a bracelet to the pool, you should carefully check the level of water resistance. So, you can find out how much is every tracker resistant to water and find the decoding of the IP and ATM classes in this article. Also, it is worth considering that not all best waterproof fitness trackers are designed to track swimming. But still, you should not worry about their working abilities after going to the shower, swimming in the pool, or at sea. Although such models can only keep track of time during your swim at a certain distance. And there are most devices like those models. Fitness trackers for the swimming pool. These gadgets determine how you float. They show you information about time, pace, distance, frequency, and stroke count during the swim, as well as the number of pools you go to. Moreover, except monitoring, they analyze your work. So, they determine the SWOLF parameter that shows how efficiently your voyage. Besides, you need to set the length of the pool on your own. Trackers for outside swimming. Such bracelets are necessary for those, who like to swim across rivers, bays. And they are for those, who love long swimming outside. Swimming outside, you do not have any borders. And when you push from them, your bracelet fixes the initial point of the distance. In this case, you do not have such a possibility. Therefore, devices for swimming outside must have a built-in GPS-receiver. So, it will track the coordinates of the swimmer. And then it overlays the data obtained on the map. As a result, you can get a swim route, distance, an average, and maximum frequency of strokes. Spark 3 is a multi-functional watch that combines tracking of a variety of sports modes, round-the-clock activity tracking with heart rate measurement, GPS tracking and built-in storage for 500 music tracks. Battery life: up to 11 hours in GPS mode. Water Resistance: 40 meters (4ATM). Price + Shipping: 400 dollars. Among other things, TomTom Spark 3 is easy to use and has excellent data on swimming. Besides, it provides detailed information on speed, pace, number of laps, and calories you burn during sailing. Spark 3 also allows you to split your workout into sets. During swimming, the gadget makes signals by vibration. It let you know when you need to slow down, or to swim more actively. There is also a mode “Goal,” which will assess the entire swimming session. Samsung Gear Fit Pro 2 is the most functional and attractive among all the fitness bracelets on this list. It has a 1.5-inch AMOLED color screen. And it is perfectly readable even in water. Samsung Gear Fit Pro 2 can determine the type of swimming, measure lap time and distance, as well as the indicator SWOLF. Battery: up to 4 days. Flex 2 is the thinnest Fitbit tracker and the first water-resistant bracelet. It is 30 percent smaller than its predecessor Fitbit Flex or Fitbit Charge. Moreover, it still does not have a screen. Instead, it uses LEDs that show the progress of the goal. Too detailed data about the swim from this tracker you will not get. It can automatically recognize swimming, count the number of laps, the duration and the number of calories expended during swimming. Outside the pool, Flex 2 can monitor and track sleep, count steps, and distance. Besides, it also notifies about calls and messages from a smartphone. 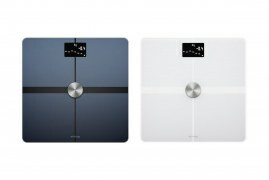 In case you like the Fitbit fitness equipment, we recommend checking Fitbit Aria 2 Wi-Fi Smart Scale review for highly accurate measurements of weight, body fat percentage and BMI. During your swim at a certain distance. And there are most devices like those models. There are not such a significant number of gadgets that allow you to get extended data. And if you are a professional swimmer, it will be harder to find the fitness tracker that will be appropriate for you. Honor Band 3 also will not be able to provide advanced data on navigation. It has only the leading indicators. But, unlike Flex 2, it is equipped with a 0.91-inch PMOLED-screen, pulse sensor. Moreover, it is twice cheaper. Also, Huawei Honor Band 3 can track other types of activity. It can count steps, distance and calories, monitor sleep and receive notifications about calls and messages from a smartphone. Battery: up to 30 days of standby. Misfit Shine 2 also has no screen. So, you can view all information only in the application. But it can record the number of laps and the distance you swam. 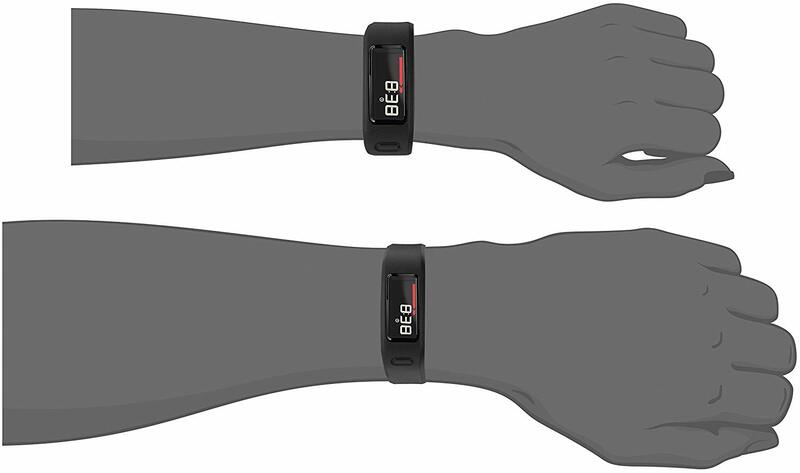 Also, workout progress and time are shown in color on the front of the gadget. Battery: up to 6 months. Moov Now is another fitness bracelet without a display, explicitly designed for swimming, although it can also track other sports modes, such as running, cycling and even boxing. Since Moov Now was explicitly designed for swimmers in the pool, to get accurate data you only need to enter the pool length. And then the tracker considers the number and frequency of stroke type, distance, calories consumed, as well as swim time and rest time. Water Resistance: 30 meters (3ATM). There are many criteria for choosing fitness bracelets. First, a lot depends on how much accurate and advanced data you need. Polar V800 and TomTom Spark 3 will allow you to get the maximum amount of data on swimming, both in the pool and outside. If only the most basic indicators are sufficient, then you can even choose Honor Band 3 or Fitbit Flex 2. Try also apple watch series. Secondly, the design and style of gadget play a significant role. Pay attention to the best fitness tracker that looks like jewelry. And thirdly, the price plays a considerable role when choosing any gadget. Which of these gadgets would you want? TomTom GPS Watch Runner is a specialized fitness tracker with a range of advantages. It has various modes used for both the treadmill and the outdoors. Also, it can synchronize online with popular sites – MapMyFitness, RunKeeper, and TrainingPeaks. Fitness tracker TomTom GPS Watch measures the distance traveled, speed and run time. Moreover, it comes in a variety of colors. Convenient navigation through the menu and the ability to change settings without interrupting the run is the main advantage of this model. Track your results with a fitness tracker. The gadget has an optical heart rate monitor. The development of high-precision bio-mathematical algorithms of work involved a small company LifeQ. The resulting tandem of the hardware-software complex allows achieving unsurpassed accuracy of reading the pulse. Furthermore, the watch can continuously monitor the heart rate in 24/7 mode. So, for many athletes, it will be beneficial. Additionally, another feature of the model Runner 2 Cardio is the presence in the device five modes of cardio. It makes the tracker possible to strengthen the cardiovascular system without the risk of harm to health. Track total physical activity for the week. Unlike many other devices, this model also allows you to see cumulative values as indicators accumulate throughout the week. And it is a significant difference, because most users (especially athletes), on the one hand, have days when they run/walk more intensively. On the other hand, they have the rest of the days that they use to recover from the load. So, the total physical activity per week is displayed on the clock in the form of a heptagon, on a separate screen. Also, the gadget collects data such as running speed, distance, calories burned, workout duration and intensity (and through an additional sensor, pedaling frequency) Information in real time. Ride a bike, swim, gym or treadmill. Keep track of your time, pace and calories burned. And it thanks to GPS and distance covered. You can track your activity anytime, anywhere 24/7. Besides, thanks to GPS, you can save your race records for racing. And it which will be an additional motivation for successfully overcoming new goals. Interval training will help you to develop your capabilities with the help of user sessions of work and rest. 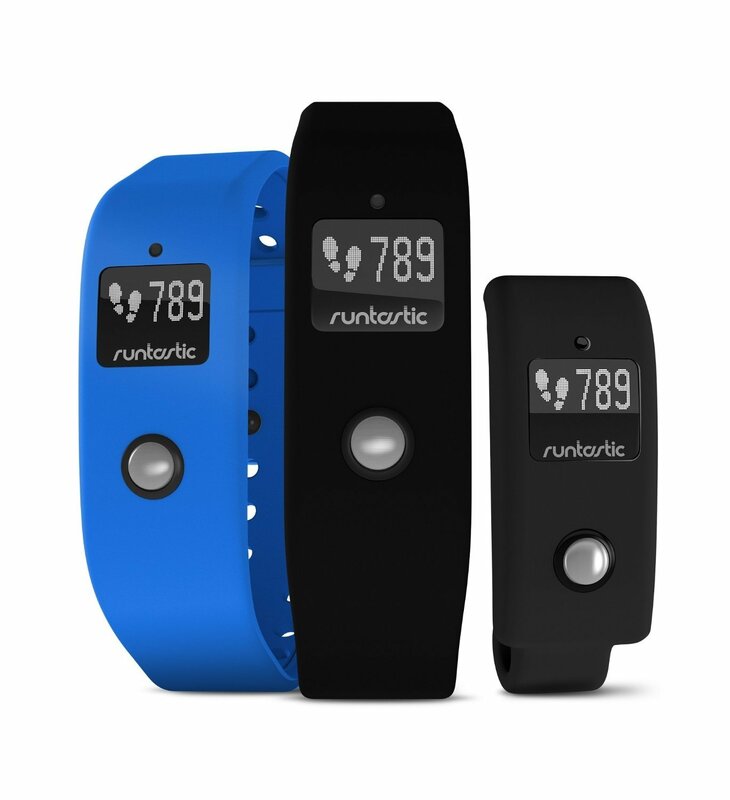 Runtastic is a slightly fun name for a high-tech gadget. But do not let the first impression fool you. This tracker tracks your daily activities (not only while running), with particular attention paid to the duration of sleep and its cycles. Runtastic Orbit 24 also has workout app for most iPhone and Android models. Besides, it can track the number of steps, and calories burned, workout activity and, of course, the distance traveled. All data synchronizes with your smartphone, which helps motivate athletes and better track workout results. The main control body of the tracker is a single button in the center. You can press it tightly, but clearly. The first click displays an electronic clock on the LED display and a status indicator at the bottom in the form of a bar. It shows the current physical activity for an approximate understanding of how much rolls are left to move. The second click displays the number of steps completed and a similar status indicator. Another click will show the total number of calories burned that day until the current moment. Also, it is worth saying that the pleasant animation on display, accompanying almost every action. In this case, an icon in the form of a flame tongue floats across the screen. And the lightning signals notify you that data on the number of active minutes will now be displayed. So, you will know how much time you spent in motion. By analogy, to go to this menu, you need to press the button again after the previous action. In the meantime, let’s return to the button and another essential function. You can activate that function with the help of transferring the tracker to the sleep quality tracking mode. Unfortunately, Orbit can’t do it alone. Therefore, you can launch this mode by pressing the key for three seconds. After waking up, do not be lazy and hold down the button again for three seconds to complete the night surveillance. Also, it is easy to understand when a person is no longer asleep. Especially, when you record dynamic movements for 10–15 minutes or more. But Runtastic plans to expand the functionality of the device in the future significantly. So, there is every chance of improving the function of sleep tracking. Moreover, another significant advantage is the built-in vibration motor. It is powerful and sharp. So, it wakes you up very well in the morning. Well, let’s take a look at the corporate application Runtastic Me. It is the statistical and controlling center of the tracker. But it is not the only one. Any Runtastic program can interact with the device. And some, in particular, the flagship eponymous running application [download from the App Store] turns the Orbit into an additional screen where you can quickly see the distance covered (in kilometers, not in steps, as in normal operation). Also, you can see step length, average step counter, run time, number of calories burned during the run and many other data. It is this kind of interaction that gives a chance for a significant expansion of the capabilities of the device in the future. For example, it has a light sensor (above the screen), and there is a mass of exciting schemes for its use. For example, it monitors the amount of time spent in the sun and warns about the danger of burning. Garmin Vivofit Fitness Band is one of the most popular fitness trackers today. It is compatible with a heart rate monitor for heart rate measurement. And it helps to collect even more data about your current workouts. Also, this tracker is best waterproof fitness watch and can synchronize with a smartphone. One of the main features of the Garmin waterproof fitness tracker is an improved battery. So, charging lasts for more than a year of continuous operation. To compare, charging on other trackers lasts a day or two! Check also Garmin Forerunner. Garmin Vivofit refers to the conditionally called class of “monitors.” Unlike another class of devices, called “personal trainer,” the “monitor” does not take part in the user’s training. Also, it does not affect them. But, at the same time, Garmin Vivofit has a motivating factor. But first, take a look at the screen of the fitness bracelet. The only one button switches information on the Garmin Vivofit display. A small indicator at the bottom tells you exactly what information is being displayed. Besides, Garmin Vivofit can show the number of steps completed for the current day. The number of steps to the goal. “Goal” – the number of steps that the user needs to go through per day. Garmin Connect calculated this parameter by software. And it depends on the personal data entered (height, weight, age). If the user does not agree with the machine’s opinion, he can set this value himself in Garmin Connect. Distance covered in kilometers. Again, the software calculates the step length based on the entered data. The number of calories burned. You need to understand that this is some kind of transient value. There is no clear relationship between this parameter and the number of steps and distances. So, for some unknown formula, Garmin Vivofit calculates this parameter. And it is better not to go into the details of the calculations. Current time Perhaps. It is an essential function, because thanks to it, you can safely abandon regular hours in favor of Garmin Vivofit. After all, not everyone likes to wear two wrist accessories at the same time (especially on the one hand). The last parameter is pulse information. Information is output only if an external wireless heart rate monitor is connected. We deliberately did not point out relevant information above. But now it is already quite clear. Unfortunately, Garmin Vivofit does not have a GPS. The primary function of this model is a pedometer. And the rest of the role is repelled by it. It can be a calculation of the distance traveled or calories you burn. Also, the accuracy of calculations is so essential. An indication of steps you do works with a significant delay. It is because the device needs time to process the information it receives. An only them it shows you information about your activity. After all, the owner of Garmin Vivofit can stand, sit, walk, run, be in an elevator, jump, and much more. How to choose the type of activity to count step right? So, there is no answer, because there are always nuances. Moreover, pay attention to the next things. The first is walking with your hands in your pockets. After all, while walking, the hands move synchronously to the opposite legs. And if you put your hands in your pockets, then the movement of the bracelet in space will be completely different. If you are in such situation, Garmin Vivofit is unstable. In one case it counts the steps; in the other case, it does not. Another nuance found in the testing process is riding on a swing. Garmin Vivofit considers one swing as walking and happily increases the counter. Garmin Vivofit do not give in to many other provocations. It can be active sweeps of arms on the spot, jumps, other uncharacteristic gestures for an ordinary body movement. Nevertheless, one cannot speak about the absolute accuracy of a pedometer. But at the same time, you should understand that this 100% accuracy is not necessary. After all, it is not so important how many steps you have done. The overall absolute values are essential. Therefore, the error does not mainly affect the whole process. For example, you complete more than eight thousand steps with a “seven thousand goal.” So, you do not waste your day. And even if you complete only six and a half thousand, taking into account the error and other sports activities, it is possible to consider the day plan as fulfilled. As for the distance traveled and calories burned, our personal opinion is that with these indicators you shouldn’t stop bothering. Without GPS, counting distances through a bunch of formulas is a thankless task and not at all accurate. More critical in the Garmin Vivofit is that red strip. It shows how acutely the owner’s body needs activity. The longer the bar, the more time a person spends without physical activity. And it means that you have an urgent need to go for a walk. In general, you must do everything to make this unfortunate strip disappear. This gadget is an inexpensive and popular tracker for running. It has a black and white screen, equipped with an indicator. Also, it has a pedometer that recognizes the difference between walking and running. This low-cost model does not have synchronization with various smartphone applications or websites. The price of similarly available gadgets varies depending on the color of the model. Maximum depth of waterproofing – 9m. Has a HEART RHYTHM MONITOR. Measure how much calories you burn. 1. There is a stopwatch. This gadget syncs with favorite smartphone apps such as LoseIt, Runkeeper, MapMyFitness, MyFitnessPal, and IFTTT. 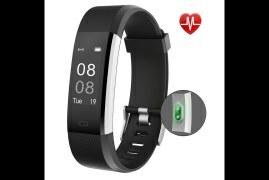 Also, this handy little device is waterproof fitness tracker with heart rate and has a feature that makes it exist out among competitors. So, it has separate modes for running, swimming, cycling and walking. And each of these actions it measures differently. For example, different calorie burning. So, unlike other fitness trackers, regardless of the number of steps and moves, MISFIT SHINE record running and walking differently. Moreover, Misfit Shine Activity has a removable battery that holds a charge of up to 6 months of continuous use. Measurements of steps, calories, distance. The accurate Mio Fuse heart rate monitor is a unique accessory with a high-precision optical heart rate monitor. It displays the pulse in real time. So, you can always be aware of your condition. Also, based on the readings of the heart rate monitor, this model can also monitor the quality of sleep. And the most exciting feature is the pulse zones. The Mio Go app has five pulse zones. Besides, they are divided by the number of beats per minute. Depending on being in a particular zone, the indicator on the main screen will flash in the corresponding color. Therefore, after the training, you can always see detailed statistics about pulse, speed, distance, and so on. The device can synchronize with an Android and IOS smartphone without problems. By downloading individual applications (Edomondo, Strava, RunKeeper), you can transfer your data there, save it and optimize it for your needs. Also, it is worth noting that Mio Fuse has a waterproof class WR20 (protects from splashes and light rain). One of the two critical new things of the Mio Fuse is the activity tracker. It performs the same functions as other devices. Therefore, it counts the distance you overcome, the number of steps, calories you burn and exercise time. 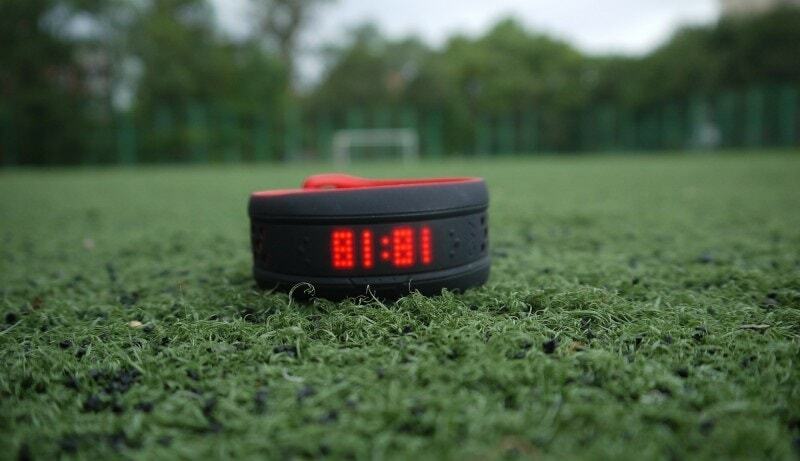 The fitness bracelet monitors the activity around the clock. To find out the current status, click on the bulging points on the edges of the display. With their help, you can move between screens with information. If you do not turn off the backlight, the activity indicators are always visible. But it reduces the charge of a device. You can configure information pages in the Mio Go application using the switches. Also, there are several types of daily goals. There are steps, distance and calories burned. Besides, the device counts the calories you burn during physical activity. And it is not just because of metabolism. The bracelet displays the progress in the form of a strip. And it is gradually filled. The default goal is set to 10 thousand steps. But not only a bracelet can display the progress. The application also does it. To be brief, it presents the information in a list. When you click on a list item, you can see detailed statistics on steps taken, distance, active and passive calories. Also, during testing, Fuse scooted a bit about the number of active calories, especially on days without physical training. Mio knows about the problem and works on it. Besides, the number of steps the device shows is 10-15% less than other devices do. Mio says they did it on purpose so as not to exaggerate the distance covered. On the contrary, other devices add the number of steps. False alarms (driving, taking a shower) are partly to blame. But mostly they overestimate the result. Note that the heart rate monitor does not work continuously. It turns on only during training. Controls the heart rate during running. Sends SMS and call notifications. It works up to 336 hours in standalone mode. With this device, you can not only track your results during sports. Also, you can make an individual training plan, receive extensive overview with Polar Smart Coaching. Therefore, it allows you to quickly and efficiently achieve the desired result. Moreover, the Polar A360 HR has the same functionality as other fitness trackers of this list. So, it monitors the quality of sleep, the number of steps, distance, calories you burn and much more. Also, this bracelet can continuously be on your wrist. Besides, you never get bored, because the accessory vibrates when you need to move. Furthermore, Polar A360 HR has excellent design and quality materials. You can sync your device with Android 4.3, iOS 7, Windows, OS X for additional functionality in applications. a laser cardiac monitor (it is not necessary to buy a chest cardio sensor to take a pulse). the micro USB connector for charging. When you buy a bracelet, you choose the size just by putting your hand to the box. Data on the screen is always clearly visible in bright sunshine. The screen after the retina of the iPhone or modern phones looks grainy. So, finding it out or not on a fitness gadget is your business. The interface is very responsive and fast. The bracelet has a laser cardiac sensor. Its principle is based on examining the surface of the skin and determining the growth of the pulse by the optical principle. For example, chest strap sensors (Polar H7 is the same) will determine the pulse and its more complex components by analyzing the electrical impulses. That impulse accompanies each systolic surge of blood with your heart. Therefore, the response of the chest sensor to changes in the pulse is instantaneous. But not in the optical one. If you are running sprints or doing fast hard work and want to study the dynamics of the heart during exercise, then the A360 is not your choice. There is only a chest sensor. If you are in the gym, run without intervals, walk and measure the pulse, then the choice is excellent. By the way, the A360 has Bluetooth, and you can connect any chest sensor with this technology to it. The developer does not equip the A360 with a GPS module. Therefore, even when running, the pedometer is responsible for measuring the distance. And it is very accurate. But for accuracy, enter your height, gender, and weight into the Polar Flow system. Fitness trackers – devices that allow you to monitor activity and build a training program. They are becoming increasingly popular in the world of sports. Nowadays, many people can not even imagine their workouts without a fitness bracelet. The primary functions of such devices are the ability to count steps, measure the distance you run. Also, they have monitor heartbeat and breathing, estimate the number of calories you burn. Moreover, some trackers allow you to analyze sleep performance. For these purposes, people mostly use mobile applications. Also, you can retrieve information from your device and store it on a computer. Besides, you can save it on mobile phones for maintaining personalized training statistics. A few years ago, people hardly perceived any gadgets as something useful for fitness. Except for the opportunity to listen to music while running or exercising. However, with the rapid development of mobile technologies, everything has changed. And various applications for tracking sports results and tasks, first of all, have gained immense popularity. Therefore, such applications now compete in their popularity with mobile news services and applications. And in them, you can participate in online card tournaments. Nowadays, in the market, you can find a wide selection of electronic bracelets to track the results of fitness. Also, they are so-called “swimming watches”. There are a lot of devices of such a type. And you can choose the appropriate functionality, design and price category with no difficulties. Of course, such devices have their drawbacks. The most important advantage of wearing fitness trackers is that they are a great reminder of the need for regular exercise. When you wear a tracker and it writes down something every day, it helps you to analyze your results. Then the likelihood that you will want to skip the workout and stop following the program is much less! 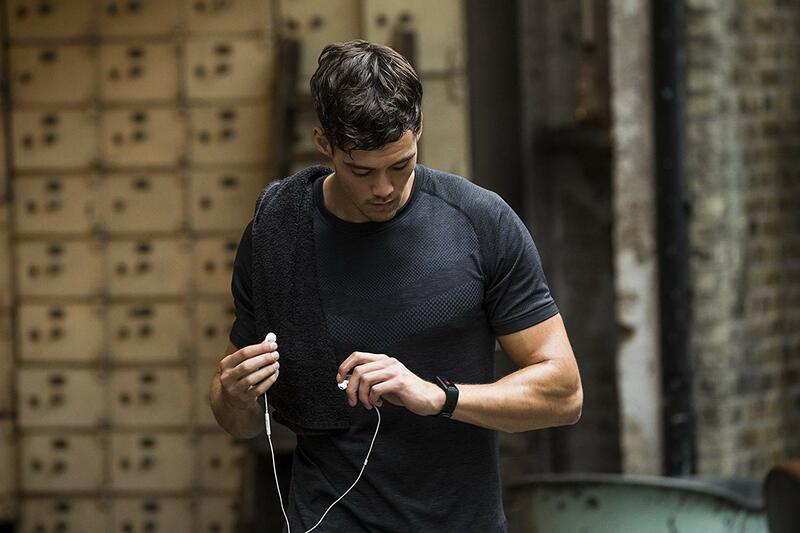 Wearing trackers allows you to work out for yourself the ideal program with the right intensity. Besides, it motivates you to stick to the course with the utmost precision of the activity indicators. It can be especially useful for those who run, measuring kilometers and calories you burn. Moreover, it keeps personal statistics. Also, it is important to note that the devices have the function of notification of the failure of the training program. Besides, trackers that record sleep rates allow you to monitor the quality and quantity of sleep and find the right balance. It is very important because proper sleep is the most important factor for success in your training. Despite all these advantages, you should remember that, nevertheless, no device will help you to create and adhere to the correct program in the way that a personal trainer can do. Because he observes how your muscles behave over time. Also, he observes how your body reacts to changes in sports nutrition and load. Refusing to consult a coach entirely in favor of working with the tracker would be the wrong decision. Tracker is not a coach! And this possible drawback is not the only one. Sometimes these devices cause addiction. But you must avoid it. For example, you can share your results in social networks, comment on the results of your friends. Such communication in the network is not bad. But it can make you and your studies hostage to someone’s opinion. It can help self-affirmation of yourself not in the real world, but in the virtual world. And you know that this is not true. After all, firstly you need to do everything for yourself. It happens that people simply do not start working in the gym because for some reason they have not brought a fitness tracker watch waterproof with them. It is a sure sign of addiction that you need to avoid! Moreover, excessive addiction to social networks and the desire to acquaint friends too often with your results can cause bad results. Therefore, you can have a loss of concentration on the goals that you set yourself. 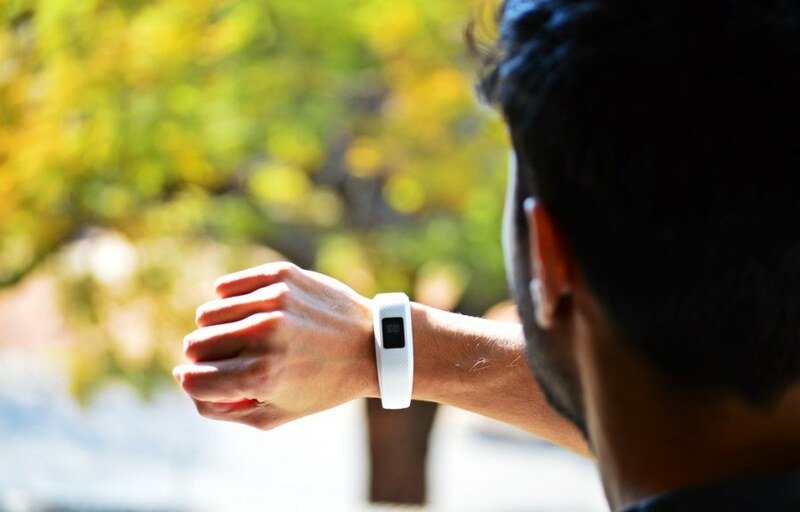 If the use of fitness trackers distracts your attention, then you should consider whether it is advisable to use such a device as an assistant in classes. Also, there is a danger that fitness trackers may give you false results data. In addition to incorrect calculation of calorie consumption, sometimes a bracelet may indicate that you trained for quite a long time. But instead of that, you just chatted with your feet under the table at the workplace. In such a situation, you need to take a responsible approach to the choice of the device and find one that has already been tested by many users. And find that tracker, that does not give incorrect readings at an unnecessary time. And there is another, the last problem. Sometimes the tracker can be quite expensive. For some people, it turns out to be a waste of money. However, if you decide to spend money on a fitness tracker, make sure that you manage to find such “your” device that will be a good help in following your training program. Use such devices as faithful helpers. But do not forget that you will receive the best advice and help on your classes from experienced trainers, nutritionists or friends tested over the years. Nowadays the choice of fitness trackers is so huge. There are simple devices and bracelets, aimed at professional athletes. Some of the trackers fit runners, others are irreplaceable for swimmers. And the third ones are generally universal. And, choosing the most suitable tracker, first of all, it’s worth understanding what features you need. Also, you should consider the shape and design of the device. Especially in case you are going to wear it every day. Besides, it must fit into your daily image. Fortunately, most of the popular trackers look organic in any situation, without bringing any discomfort. If you are going to swim with a tracker, choose such a model that is waterproof while open water swim. If your workout involves heavy loads, a device needs to have a good heart rate monitor. Moreover, the functionality of the companion app is important. Based on your taste and needs, you will definitely be able to pick up a fitness tracker that will suit your needs.